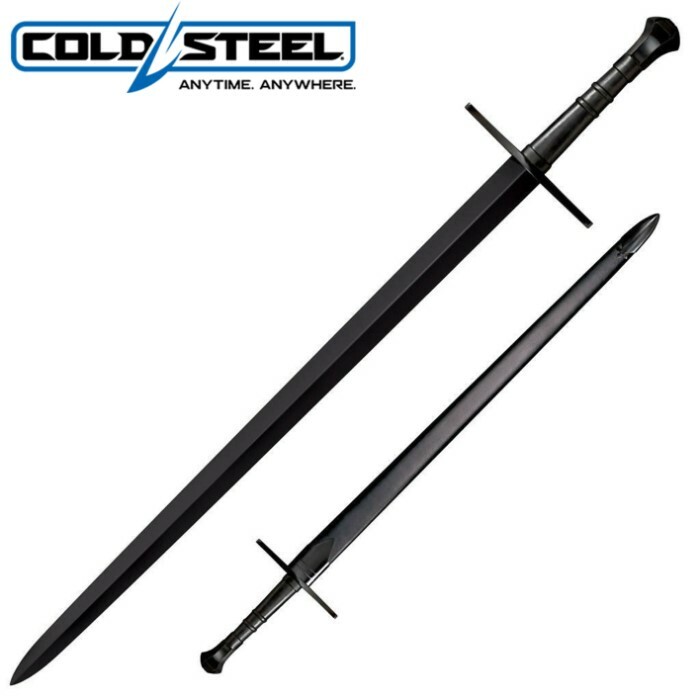 Cold Steel MAA Hand And A Half Sword | BUDK.com - Knives & Swords At The Lowest Prices! Cold Steel's new Man At Arms series was designed with a simple, strong and fearless warrior in mind, for a price that anyone can afford! The Hand-And-A-Half sword features a blued blade that is fully sharpened with a gunmetal finish for a sleek and stylish look. The black leather handle adds to the style and craftsmanship of this sword. Includes matching scabbard.